Finally, after a long search you have find the right bundle of fur for you and your family, and it is time to start the preparations to welcome him home. Bringing him in is exciting, yet owning a pet dog brings in a great deal of responsibilities. Puppy proofing your home is first and foremost step that should be taken. It is important keep your little bundle of joy out of any trouble. Puppy proofing is just like preparing your home for a new infant or a curious toddler to remove all dangers. Just like a curious toddler, your puppy will try to inspect every electrical cord, closet, yard and even your favorite pair of shoes. The kitchen contains various small and interesting things in the cabinet and on the shelf that smells and tastes good too. Keep all this stuff in the refrigerator and cabinets and keep them locked. Before bringing the puppy in, get some child-proof latches from the local hardware store. This will help you to keep potentially dangerous food out of reach. In addition to this, wrap any power cords with chew-proof PVC tape. Finally, keep the cutlery and glass crookery out of your pet’s reach. The bathroom is another dangerous place for your puppy. Remember to not keep any medications and chemicals under the sink. Keep all the cleaning materials, soaps and cotton swabs out of the reach of your dog because if any of these are indigested it may involve an emergency visit to veterinarian. Never forget to keep the toilet lid down. Better yet, keep the bathroom door closed if possible. 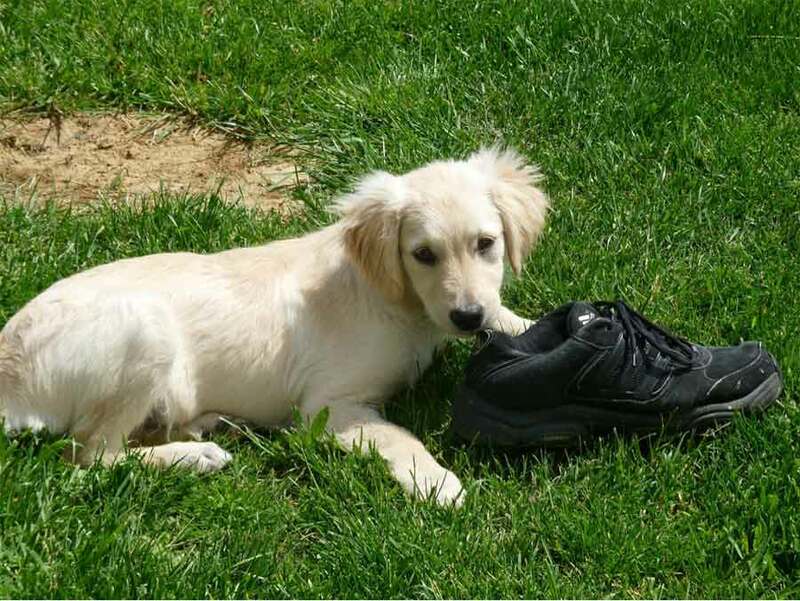 Everything that has your scent attracts your puppy, whether it be your shoes, clothes or any other personal belongings. Keep your personals locked, especially small stuff such as jewelry, hair ties, coins that can be ingested, and do not forget to secure any exposed cords or wires. The living room is the coziest room where family gatherings happen. Eating, snacking and partying usually happens in living room. You may have a lot of filled and empty plastic wrappers of food, cans with sharp edges, and even plastic canisters that can cause harm to your little ball of fur. Keep all of this stuff away out of his reach, and stay vigilant while eating when he is around. For the first few days until he understands where to go potty it is wise to hide loose items such as stow pillows and blankets. Daffodils, foxglove, bird-of-paradise, and lupine are a few poisonous plants for your Fido. They may cause allergies, rash, vomiting or diarrhea. Therefore, look around your yard and eliminate the existence of poisonous plants such as these. In addition to this, get a collapsible metal crate for your puppy before bringing him home. 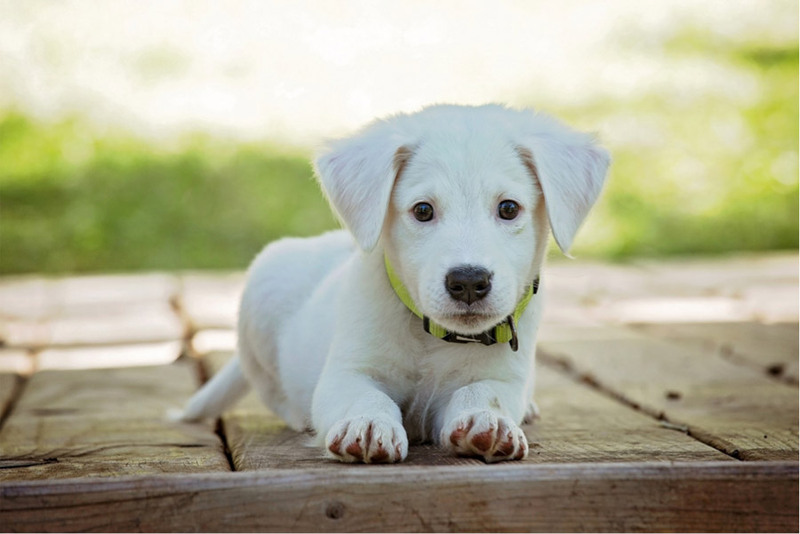 There are various benefits for pet owners to crate train their puppy. The crate is easy to carry, and you can decorate his crate with his toys to make him feel comfortable, and he can sleep in the crate when you are busy or until he gets used to living with you. Puppy proofing may take some time initially, but it is better to be safe than sorry! About the author: Wendy is a self-employed beauty therapist, mother of two, life-long pet parent and lover of dogs who somehow manages to squeeze in the time to satisfy another of her loves: writing. Wendy is the founder, main contributor, and editor of TotallyGoldens.com.